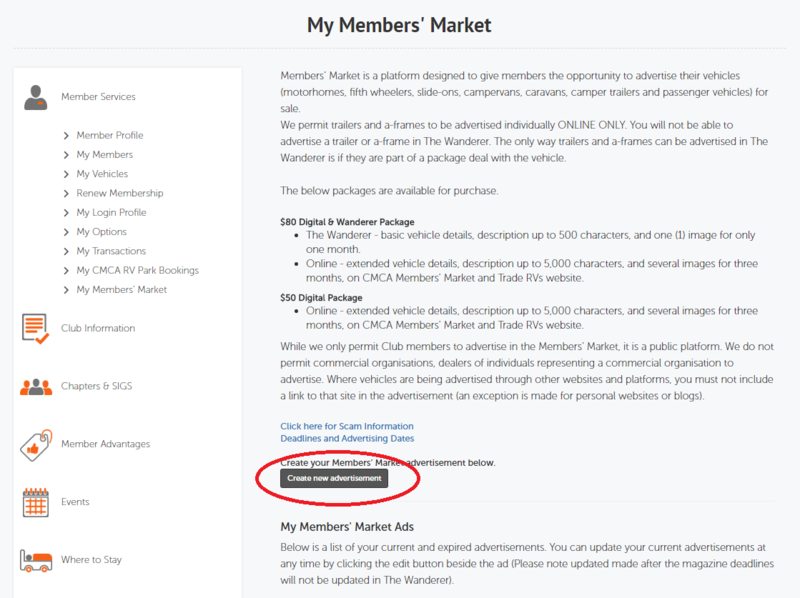 Members’ Market allows CMCA members to advertise vehicles through the Club’s website and in The Wanderer magazine. 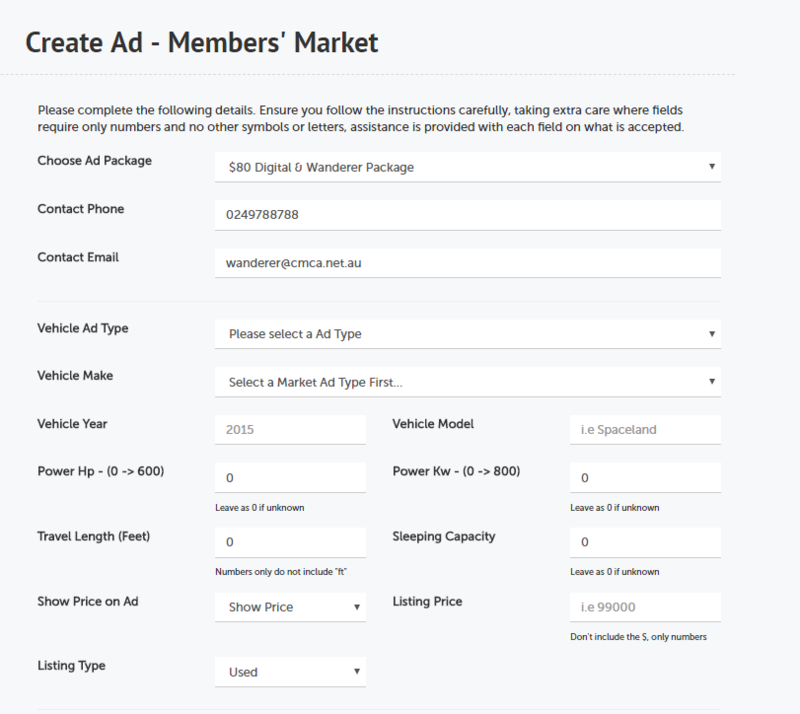 Did you know you can advertise your motorhome, fifth wheeler, slide-on, campervan, caravan, camper trailer and passenger vehicle for sale (trailers and A-Frames can only be advertised online)? We also have two advertising packages available; $50 Digital Only Package and $80 Digital & Wanderer Package. 1. 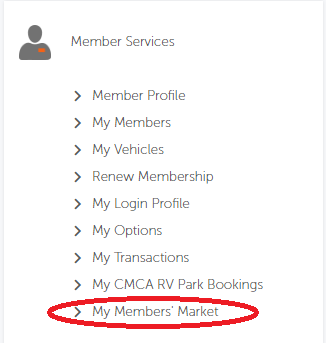 To upload an ad, login to the Members Portal and select from the ‘Member Services’ menu > ‘My Members’ Market’. 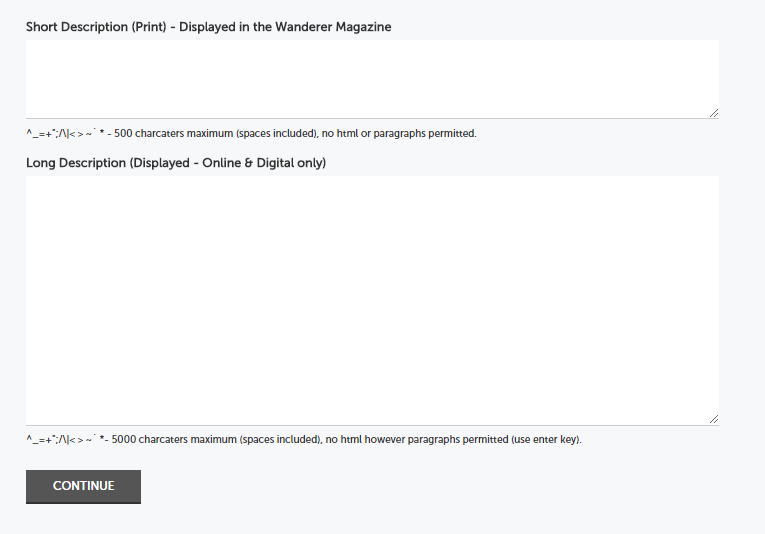 There are ad deadlines for each edition of The Wanderer. These are listed online and in the magazine. We recommend using a computer and Google Chrome to create your advertisement. You will have 40 minutes to complete your advertisement details. We recommend writing your vehicle description information in advance in Notepad or Microsoft Word and copying it across into our form. 3. Firstly, choose whether you would like a $50 Digital Only Package or $80 Digital &Wanderer Package. The system will prefill you phone and email address from our database. If you wish to use a different phone or email address, you will need to manually change it here. Fill in the information about your vehicle. 4. You will then need to write descriptions. As mentioned above, we recommend that you have these pre-prepared so that you do not get timed out of the system. The short description is printed in The Wanderer magazine. It has a limit of 500 characters (characters include letters, punctuation and spaces). The long description is displayed online only. This has a limit of 5000 characters and allows paragraphs. When you have entered all your information, click 'Continue'. 5. 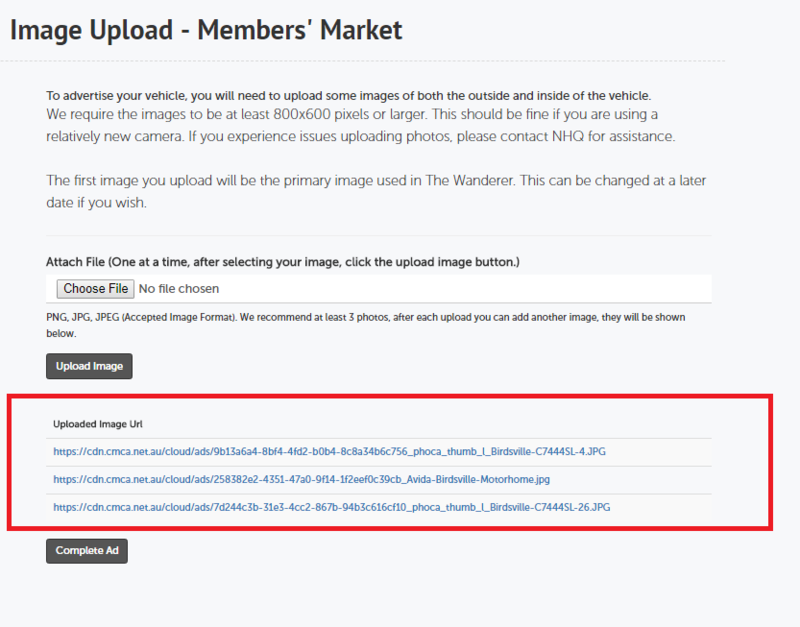 You will then need to upload images for your advertisement. Images need to be 800x600 pixels or larger. 6. You will then need to locate the image where you have it saved on your computer and select it. Repeat this process for as many images as you require. We recommend uploading at least three images for your ad. Uploaded images will appear on the screen as a URL. 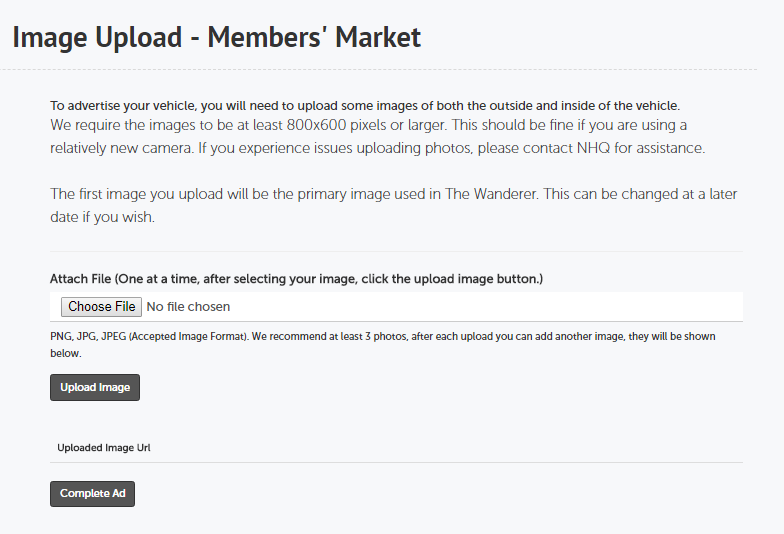 You can click on these to view and confirm the photos you have uploaded. 7. Once your photos are uploaded, click ‘Complete Ad’. You will then be taken to the payment screen. Complete the details to pay through our secure credit card facility. Your ad will then be submitted to NHQ for approval. We try and approve these as promptly as possible every business day. Once approved, your ad will be online immediately. You can make changes to active ads if need be. 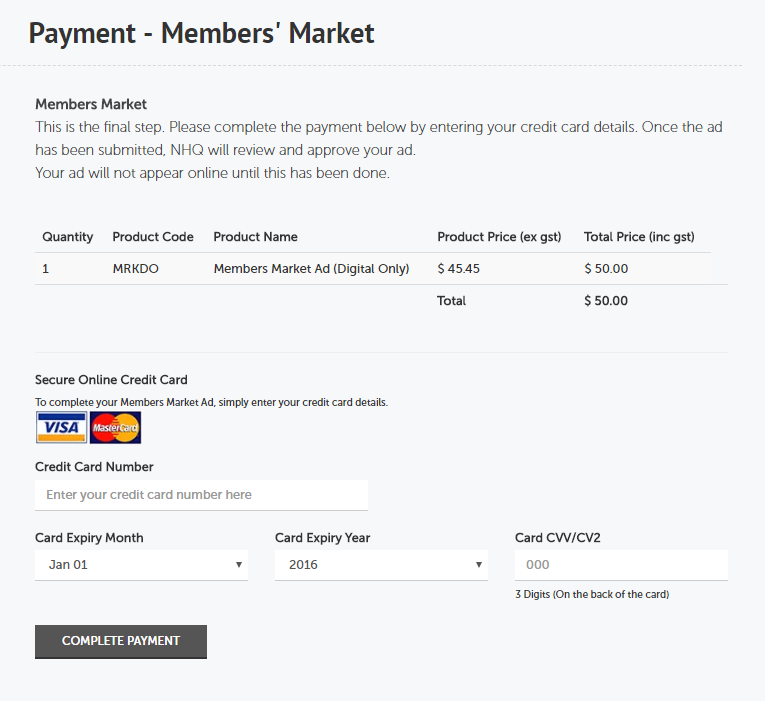 Just find your ad in ‘My Members Market’ and edit as needed. The ad will be taken offline until NHQ approves the changes and it will then be active again.